This Base Ten Intermediate Cube set provides students with fun and a hands-on way to further develop their understanding of place value. 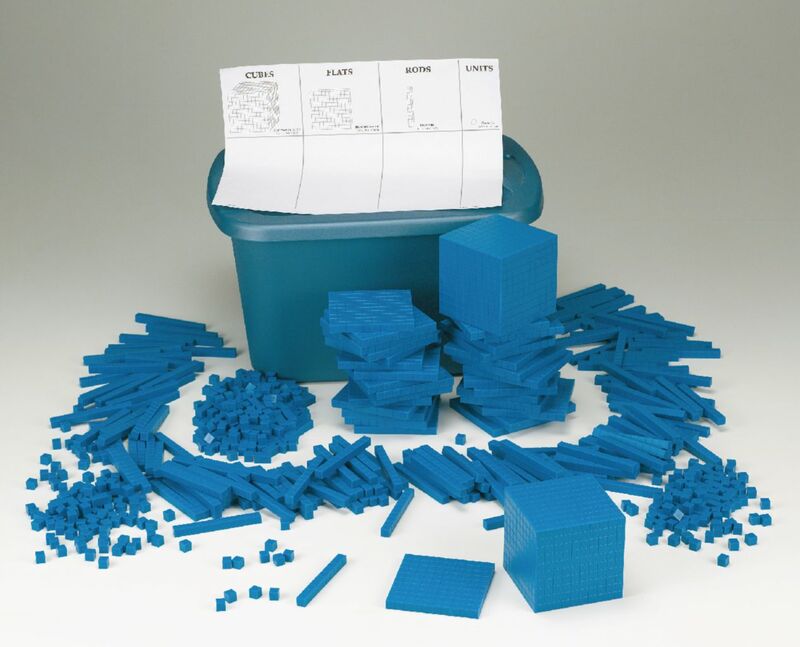 The Intermediate Set includes 600 unit cubes, 200 rods, 30 flats, 2 decimeter cube, and 30 base 10 place value mats. Approximately 20–25 students can be accomodated with the set. This sturdy plastic intermediate set is packaged in a convenient, plastic, stackable, storage bin with a self-locking lid. Base Ten Guide Book (17171-00) sold separately.